the perseverance to follow it. Rakesh Sharma, the first Indian astronaut, traveled aboard Soyuz-11 and traveled 7 days, 21 hours and 40 hours aboard Salyut 7. It was not until 1996, that the first Indian woman made it to space. 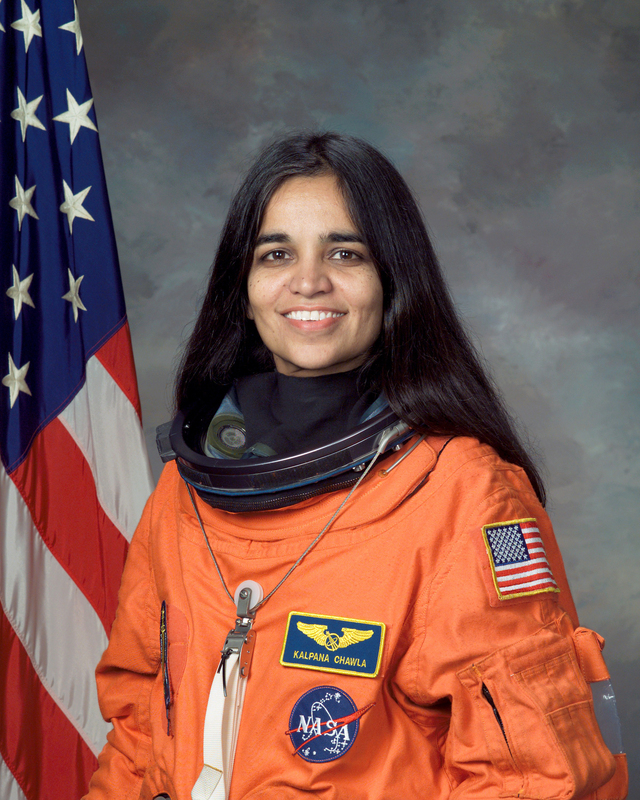 Kalpana Chawla was the first Indian American woman in space. Born in Karnal, India, she obtained a degree in Aeronautical Engineering from Punjab Engineering College in Chandigarh in 1982. She obtained her MS in Aerospace Engineering from University of Texas at Austin, a second MS and PhD in aerospace engineering from University of Colorado, Boulder. She also held a CFI for airplane and glider, and commercial license for single and multi-engine planes, seaplanes and gliders. She was selected for her first flight at NASA astronaut corp in 1996 and flew her first mission aboard Columbia as part of STS-87. On January 16th, 2003 she returned aboard Columbia ironically, for her second and last mission on STS 107. She logged 30 days, 14 hours and 54 minutes in space. Columbia, disintegrated in space during re-entry, over Texas, on February 1, 2003. Sunitha Williams, is the other NASA astronaut of Indian origin.